From where you live to the quality of your relationships, a bad credit score can affect your everyday life in powerful ways. The American dream is usually characterized as working hard from the bottom up, making a good salary, buying a house and having time to create and enjoy your family life. But the vision doesn’t always come together so neatly; despite strong buyer demand, the inventory of affordable, available starter homes is relatively low, and to secure a mortgage, you need a strong credit score — something that not all Americans have or understand. Similarly, your credit score affects housing in more ways than solely influencing your mortgage rates and availability. Landlords will frequently check prospective tenants’ credit scores before choosing whether to rent the apartment to them; obviously, if a tenant has a history of missing payments, or being late with payments, they’re going to be secondary options to tenants with strong financial backgrounds. Your credit score can even affect the quality of your relationships. It’s no surprise that money and financial issues are the biggest causes of couple fights (and breakups); if your partner is fiscally responsible, but you’ve had a more questionable history, it could lead to bigger arguments. For example, will you be willing to buy a house together? Will your credit score negatively impact your joint mortgage rate? Will you be paying off your debt together? Even a little money-related stress can quickly escalate into a bigger problem. 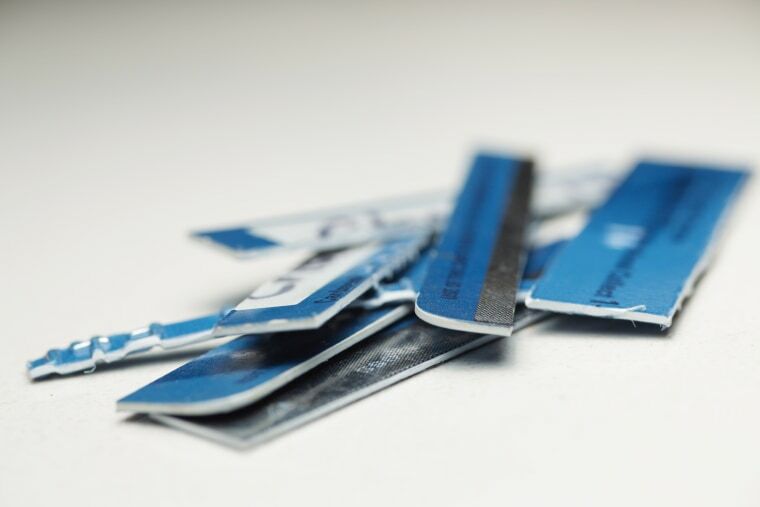 Avoid new credit or debts. Don’t apply for any new loans or credit cards; this could tank your score even harder. Instead, focus on the lines of credit you already have. Pay all your bills on time. This is the most important factor to focus on; from here on out, make sure you pay all your bills in full and on time. If you need to create a strict budget to do it, then do it. Without a steady history of on-time payments, you won’t be able to lower your score. Start paying off your debts. Finally, work to start paying off your debts. Consider moving to a lower-cost area, taking on a second job, and cutting any unnecessary expenses. You can even call your credit card companies to negotiate for a lower rate. Once your debt totals start decreasing, you’ll feel happier and more optimistic as well.